How Can both Salesforce Administrators and Developers Can Help The Companies? Salesforce is advanced and highly demanded cloud-based software founded in February 1999. Since then it has become the top most Customer Relation Management (CRM) platform. The best part of the Salesforce is that it doesn’t require an IT team to set up and manage. It was created basically for reinventing or say, updating the CRM into a more improved platform. CRM is a platform used by companies to track, manage, and analyze interactions and data of customers. CRM is an important platform where companies can develop new strategies to attract customer retention, increase sales growth to the maximum. Salesforce is designed on the basis of feature and has helped CRM in various ways. It has helped the companies maintain the customer relationship very effectively and efficiently. 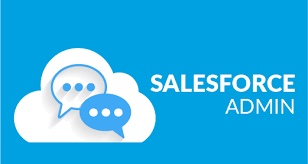 Companies love Salesforce as it has made their customer management easier with excellent view on their customers, their requirement, their purchase, etc. Salesforce has helped the companies in many ways by maintaining their customer database, providing online help, helping the marketing team and etc. These are also the major reason why companies trust Salesforce and rely on them. Salesforce Admin and Salesforce Developer are the important components of Salesforce. Salesforce uses both Salesforce Admin and Salesforce Developer extensively for maintaining the database. Salesforce Admin will help you manage the Salesforce cloud models, Salesforce sales, and service. Basically, you will take care of the administration using Salesforce Admin. Salesforce Developer will help you manages Salesforce Apex and Visual force. Basically, you’ll be developing Salesforce, be responsible for the data security and etc. Now! Let’s look at them separately. It is related to management of Salesforce administration where the admin is responsible for Salesforce configurations. 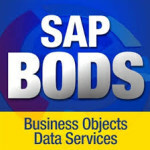 They also perform tasks on the existing Salesforce. In the beginning, when Salesforce CRM is adapted to the company, the admin needs to devote 50% of their time to the activities. In Salesforce Admin, new users have to be added, particular data can be assigned to the users. The admin is able to remove extra or double contacts from the system. This can be achieved by updating or merging the contacts. Reports on stored data can be created by the Admin. Thus, it will help in boosting the company’s revenue. In order to learn Salesforce, a candidate must be aware of the organization’s structure. They must know about the involved businesses to improve and maintain the relationships with them. Also, they must be creative enough to present the knowledge in an engaging and interactive manner. Become an Admin Developer. Enroll in Salesforce Admin Online Training. It is related to the development and building of various functionalities with the help of Visual force/Apex. After this process has been accomplished, it is sent to Salesforce Admin where they schedule for deployment. They also create and build Salesforce triggers and visual pages. This creation is usually done with the customer’s need and requirements. 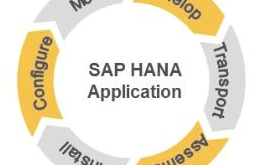 They also build customized applications by utilizing a point and click capabilities of Salesforce. Salesforce developer is also responsible for uninterrupted CRM functionalities. 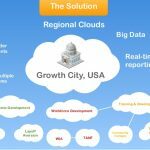 Salesforce solutions are created and designed for executing plans for projects for the company. In order to learn Salesforce Development, the candidate must have the ability to understand the organization internal and external environment. They must also develop a successful CRM strategy with the Salesforce Admin. Become a Salesforce Developer. Enroll in Salesforce Developer Online Training. functionalities. According to the study, the global IT cloud will increase its revenue by 390 $ Billion by 2020. Salesforce will be in a strong position in the cloud-based CRM as 62% of the CRM being cloud-based. The requirement for both Salesforce Admin and Developer will increase by 25% in 2020. Salesforce users have rated the Salesforce by 85% due to its excellent overall performance as a CRM platform. Salesforce has proven to be the best with better reliability and scalability than other competitors by 80%. According to a study, Salesforce will create more than 1.9 Million jobs by 2020 and 3.3 Million jobs by 2022. 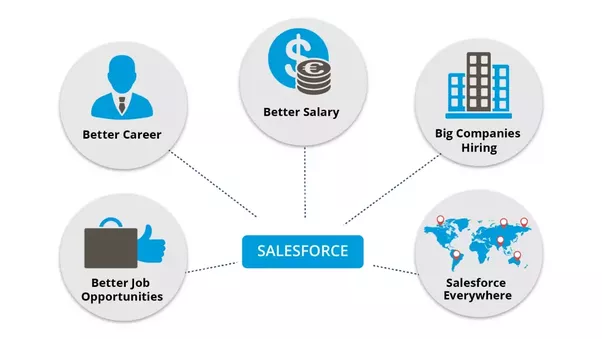 The national average salary for the Salesforce Admin is around 4, 10, 769 INR and 4, 22, 800 INR for Salesforce Developer. The above-given information has been taken from Naukri.com, respectively. BigClasses is one of the best online training organizations offer Salesforce Admin & Developer training. We have qualified and experienced faculties who are responsible for taking the online sessions. We provide study materials and 24 hours support to our national and international learners as well. If you are interested in Salesforce Admin & Developer online training, contact us for the detailed course and the free demo classes. Why Do Companies Love Salesforce? Why Do Companies Trust SALESFORCE CRM? 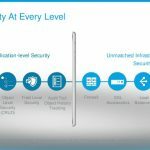 Previous: Why Do Companies Trust SALESFORCE CRM? Next: Top Reasons Why You Should Switch To Tableau Now?